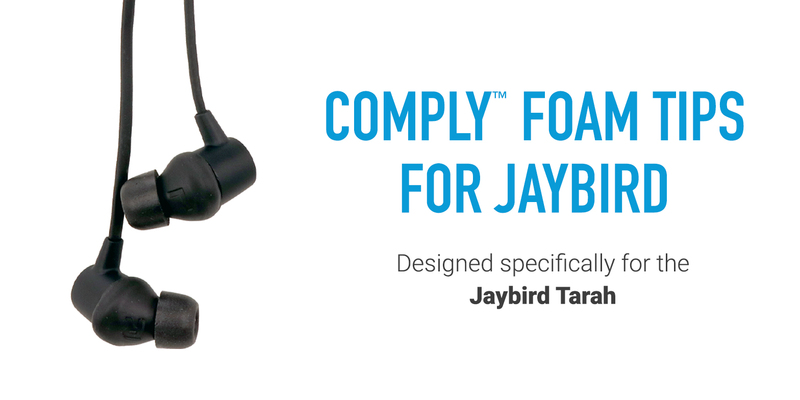 Comply Strata is a patented earphone tip technology designed exclusively for the Jaybird Tarah, comprised of heat-activated memory foam with an integrated ActiveFit™ adapter. 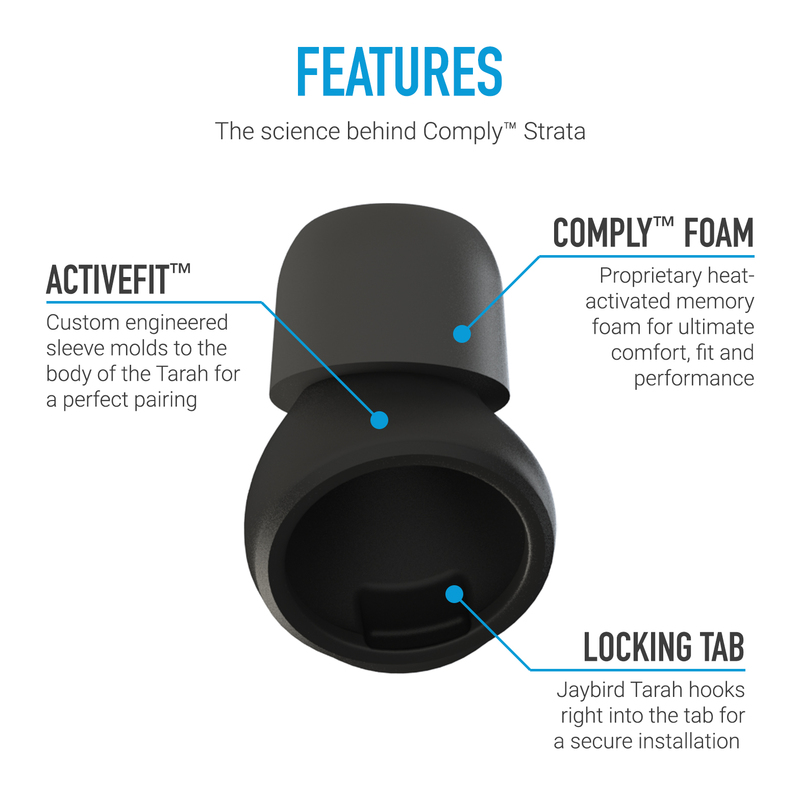 Strata ensures your Jaybird Tarah fits comfortably and securely by conforming to both your inner and outer ear. Its dynamic nature helps provide an uninterrupted and superior listening experience. Welcome to the Ultimate Earphone Upgrade™. All Comply™ tips are made from memory foam that expands to fill the unique shape of your ear canal, creating a dynamic fit that drastically increases in-ear fit. Comply™ tips offer 100% better grip than standard silicone, ensuring that your wireless earbuds will stay put regardless of whether you’re running, commuting, or rocking out. Never worry about losing your high-end wireless earbuds again. Comply™ tips are made from body-heat activated memory foam that’s 30x softer than silicone. Our Ultra tips create an ultra-soft and comfortable fit that snugly fits into the exact dimensions of your ear. Best of all, the incredibly comfortable softness of our tips greatly reduces earphone irritation and fatigue, allowing you to immerse yourself in your audio for even longer. Due to our unique viscoelastic technology, Comply™ tips create a seal that adjusts to any changes in the shape of your ear canal caused by movement, sweat, or temperature shifts, blocking out exterior noise and environmental distractions at all times. You can now focus on your audio and enjoy it to the fullest without having to raise the volume to damaging levels to compensate for all those distracting outside noises.